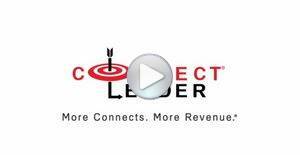 SALEM, NH--(Marketwired - Mar 10, 2016) - ConnectLeader, a leading innovator in sales acceleration technologies used by B2B sales reps to accelerate the sales process, announced today its ConnectLeader for Salesforce has taken the Gold in the 2016 STEVIE® AWARDS for best new sales automation solution. Winners in the tenth annual Stevie® Awards for Sales & Customer Service, recognized as the world's top honors for business development, contact center, customer service, and sales professionals, were unveiled on March 4th at a gala ceremony in Las Vegas. More than 2,100 nominations from organizations of all sizes and in virtually every industry, were evaluated in this year's competition, an increase of 11% over 2015. Seventy members of seven specialized final judging committees determined that ConnectLeader for Salesforce was among the finest of the nominees and worthy of Gold status. ConnectLeader offers a platform of sales acceleration solutions built on the Adaptilytics™ big data intelligence engine, which applies predictive sales intelligence to the outbound sales process. The award-winning solutions continue to help businesses improve top-line revenue growth, shorten lead cycles and improve overall sales efficiencies. "We are humbled by the panel's selection of ConnectLeader for Salesforce from among such notable competition," said Senraj Soundar, Founder and CEO, ConnectLeader. "Our patented Software as a Service (SaaS) solution has provided an 800% increase in calling productivity and 8-to-1 efficiency gain for our customers. ConnectLeader will continue to improve its lead qualification abilities with our new Big Data analytics and refined usability to further shorten and simplify the lead-generation process." 1. Click Dialer® - Click-to-call software residing within the Salesforce.com that allows users to simply click and dial any listed phone number and quickly move onto the next prospect. 2. Personal Dialer® - Power dialing software that expands the Click Dialer features to allow users to seamlessly upload a list of records from Salesforce.com for list dialing with our patented visibilty and control capability while power dialing -- improving sales productivity from 30% to 100% compared to manual dialing. 3. Team Dialer® - An agent-assisted dialing solution that takes the power dialing to the next level by allowing a group of human agents to make 125-150 dials per hour and filter through the non-productive dialing activities such as navigating voice mail systems, dealing with gatekeepers and leaving voice messages, and deliver live conversations with decision makers to the sales representative at an average rate of 8 to 12 live conversations per hour. ConnectLeader for Salesforce can be easily downloaded from AppExchange. Live training and support is provided to enable users to get up and running quickly. The product's 99.9% uptime rate ensures that sales teams stay productive. A full set of reports, dashboards and analytics allow managers to monitor usage and sales rep productivity. To learn how you can leverage ConnectLeader's data intelligence and calling solutions to improve sales productivity, dial 800.955.5040 or email info@connectleader.com.